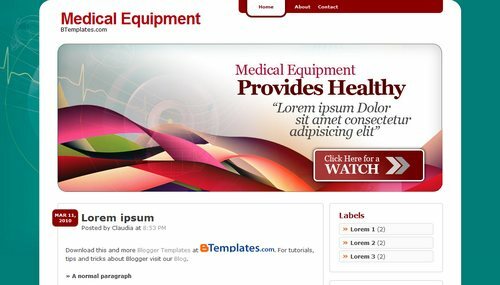 Medical Equipment is a free blogger template with 2 columns, right sidebar and rounded corners. Excellent template for blogs about business, health and beauty or science. Thanks. So nice blog template.